Fruit fibres are predominantly rich in micronutrients, which make them ideal for use in food and food supplements. The composition of the fruit fibres varies quite significantly, depending on the fruit. Detailed analyses of the individual fruit fibres are available on request. The most important properties of the fruit fibres are the micronutrients they contain. Cranberry fruit is rich in proanthocyanidins (PACs). Sea buckthorn fruit has a high concentration of Ω7-fatty acid (an essential fatty acid like Ω3 and Ω6). Blueberry fibre contains high concentrations of anthocyanidins, which give the fruit its blue colour and are known as antioxidants. Furthermore, in the fruit fibre there are significant concentrations of vitamins, minerals and other trace elements. Most of these micronutrients are located in the skin of the fruit. This is exactly this part of the fruit that is present in large quantities in our fruit fibres. We obtain our fruit fibres once the press cake – the pulp – from the fruit juice industry has been dried. After removal of the seeds – which we press for oil – we are left with the dry fruit residues, consisting primarily of fruit skins and fibres. Our fruit fibres are used directly in food, as an ingredient for biscuits or bread. In this case, both the fibre content and the micronutrients are important in the choice of powder. 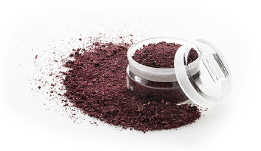 For food supplements it is mostly the high concentration of PACs – in cranberry fibre, for example – or anthocyanidins in blueberry fibre that are important. Sea buckthorn fibre stands out for its high concentrations of essential Ω7-fatty acid. 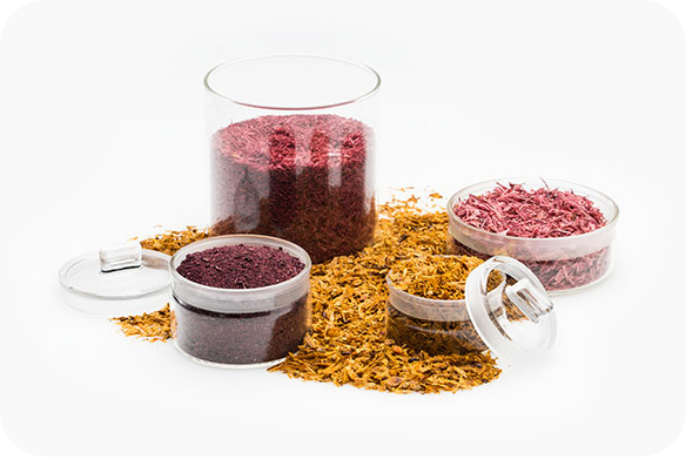 Our fruit fibres can be used as a raw material for the extraction of natural colourants.